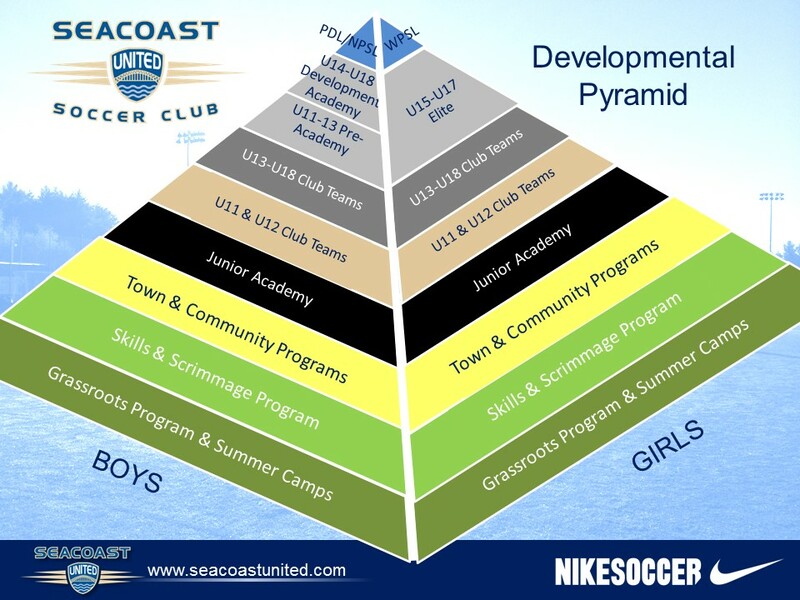 Seacoast United is committed to growing the game of soccer at all levels, from the youth recreational town organizations all the way through the adult amateur levels. Involvement within the communities we serve is vital in developing young athletes and their coaches. By working closely with the local recreational, town, and travel organizations, together we are able to teach proper technique to grow the player and the person, while fostering a love of sport.